Extra Virgin specializes in modern Italian cuisine, encompassing characteristics of various regions of Italy and enhanced by the artistry and imaginative creativity of Executive Chef Paul Anthony Fario. Extra Virgin brings a touch of casual elegance to Shirlington Village, with sophisticated contemporary decor complimented by an energetic, comfortable ambiance. Free live jazz entertainment Thursday-Saturday 7:30-11:30 P.M. Express Lunch Buffet with build your own pasta station Monday-Friday from 11:30AM-2PM ($10.95 per person). Happy Hour Monday-Friday from 3-7 PM in our lounge or bar. Great bar menu items for $5 during Happy Hour! Special drink prices: $2.50 (Miller Lite & Yuengling), $3.50 (Sam Season, Sierra Nevada, Blue Moon), and $3.50 for Rail Drinks. House Red, Sangria or White Wine for $5.00 per glass.Check out our 1/2 price Monday night wine list. Extra Virgin restaurant specializes in Italian cuisine with a modern flare! Imagine Mama's home cooked meal! 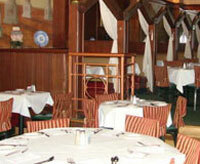 Casual but elegant bistro fare representing Italy, France and the United States. Comfortable Dining Room and neighborly bar make for and enjoyable evening out or a quiet place to have your business lunch. We are located in the heart of Shirlington Village, amongst Signature Theater, Classika Theater and Loews Shirlington Center movie theater. Our menu offers something for everyone. From entree salads and sandwiches to Coq au vin or Lobster ravioli, all your guests will find something to fit the occasion. Our desserts are made fresh in house and are a temptation that will be hard to resist. Don't miss our famous Sunday Buffet Brunch. Featuring waffles and omelets made to order, and a variety of other dishes to numerous to name here. So whether you are looking for a great place for a date or business meeting, a place to grab a bite before the theater or a place to gather with friends and family, Bistro Bistro is the place for you. 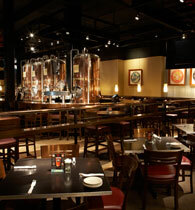 Capitol City Brewing Company at the village of Shirlington in Arlington Virginia. This brewery features an on site state of the art brewery viewed from the side walk as well as the private brewers room. 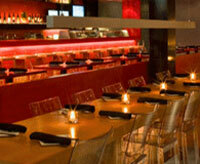 The restaurant features signature brews as well as fresh American cuisine. Charlie Chiang�s has been a member of the Greater Washington DC area for over 30 years. 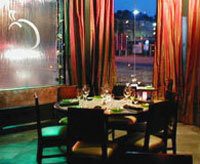 Charlie Chiang�s has always served the best food in a generous and hospitable atmosphere. We've had the honor of serving our dishes to President George H. Bush at his inauguration, President Clinton at his reception at the Capitol, visiting international bankers at the annual China Trust Bank dinner, and dignitaries at the Smithsonian�s Diversity of Food program.